Hello and welcome to the Real Madrid transfer roundup for the day! 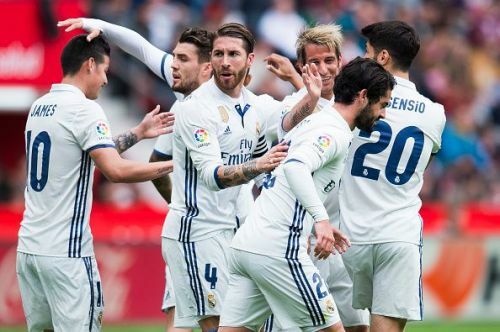 Here are the news and rumours of the day surrounding the Galacticos! Barcelona president has opened up to the possibility of signing a Real Madrid player should there be an understanding. The Blaugrana president was specifically asked about Isco and he refused to rule out a move. Bartomeu stated that should Barcelona coaches want a Madrid player that also wants to leave the club, they would like to sign him. “If our coaches asked us for a player and they want to leave Madrid, of course, we would sign them,” he said. Bartomeu then confirmed that there is no non-aggression pact between the eternal rivals and stated that he would speak to Florentino Perez with regards to a potential deal for Isco. According to reports, Eden Hazard is hopeful of completing a move to Real Madrid in the summer. The Belgian has been linked out of the Stamford Bridge for a while now and it seems this summer might just make it happen. The report further adds that the Galacticos will have to pay over a £100 million, which is quite a lot for a player who will have just a year left in his contract in June. Isco seems to be more out than in at Real Madrid. According to reports in Spain, he is currently negotiating with Premier League giants Manchester City, Chelsea and Juventus as Florentino Perez has put a price tag of €120 million. The trio, however, don’t want to pay more than €60 million. For more Real Madrid transfer news and rumours, visit our Real Madrid transfer news page!